How Jigsaw Mats Got Their Name? It is always interesting to find out how certain products got their name. Sometimes it is a vague connection with how a product got it name like Pina Collada. Who would ever know how that drink got its name. I have tried to find out and have had scant success. And what about that movie La La Land. I watched it the other night and I have no idea how that got its name either. I don’t know if it is because it was based in LA or if is about an industry that is so “out there”. Nonetheless it is a puzzle to me (I wonder if they used any puzzle mats in the film). Which brings us to jigsaw mats. How did jigsaw mats get their name? Whilst it may allude many people to me it seems quite obvious. If you have ever seen a jigsaw mat then you would have noticed that it resembles a jigsaw puzzle. The main difference is that with a jigsaw puzzle the pieces all fit together differently. This is because it is a game to see if you can find the right pieces to fit together. With jigsaw mats it is not a game. It is serious business. When people buy these mats they don’t want to be mucking around trying to find the right piece. They want the convenience that comes with having interlocking mats that fit together. 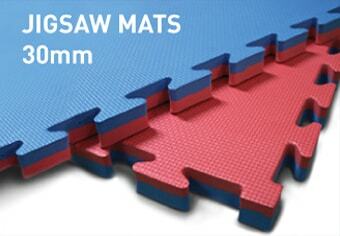 So whilst jigsaw mats got their name from a game we at Southern Cross Mats take it quite seriously. For us it is not a game as we love to please our customers and make sure that they get the best deal possible when sourcing their training mats. So if you are also serious about your gym mats then give Southern Cross Mats a call.